A new study finds that credit card agreements are literally too hard for most Americans to read. The analysis of more than 2,000 current credit card agreements by the CreditCards.com found that they are typically written at the 11th-grade reading level. But half of Americans read at the 9th-grade level or below. By comparison, “Harry Potter and the Order of the Phoenix” is written at the 8th-grade level and the Book of Exodus in the King James version of the Bible is written at a 10th-grade level. Nearly half (46 percent) of the 1,000 credit card holders surveyed by CreditCards.com last month said they “never” or “hardly ever” read their credit card agreements. When asked to describe their card agreement in just one word, most chose a negative one, such as “long,” “wordy,” “verbose,” “confusing” or “complex.” The words “tedious,” “painful” and “unclear” were also mentioned. The website found that the average card agreement is 4,900 words, which would take about 20 minutes to read. The study found that many of the country’s largest financial institutions have agreements that require the cardholder to read at a high school level or higher. These include: TD Bank, Bank of America, BB&T, US Bank, PNC Bank, Citizens Bank, and Fifth Third Bank. The average agreement at Barclays Bank Delaware requires a reading level of 14.8 years, a junior in college. 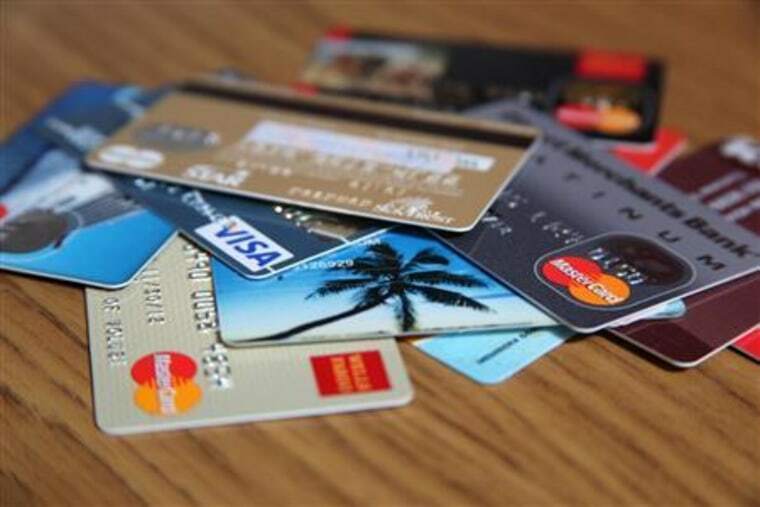 "Consumers are wise to fear the fine print, because as many credit card consumers find out the hard way, words matter,” Wendy Patrick, who lectures on business ethics at San Diego State University, told NBC news. “The companies often have comprehensive policies that need to be expressed, they cannot omit any of the necessary terms and conditions,” Patrick said. “However, some companies are succeeding more than others in striking a balance between completeness and coherence—resulting in shorter, more readable agreements." Does it need to be this way? Mike Calhoun is a lawyer and president of the non-profit Center for Responsible Lending. He believes most lawyers wouldn’t understand some of the more complex credit card agreements. “You shouldn’t have to be a consumer law expert to engage in an ordinary consumer transaction like this,” he said. The nation’s bankers insist they want customers to understand the terms and conditions of their credit card accounts. But they say they often find it a challenge to meet that goal of having simple disclosures. “Any business can only go so far with regard to contractual language and still ensure the contract is enforceable and complies with disclosures rules,” wrote Nessa Feddis, senior vice president at the American Bankers Association, in a email. “Credit card issuers endeavor… to make contracts as readable as possible, but government regulations, contract law, courts, and plaintiff’s lawyers demand that certain words be used in order to be effective from a legal perspective,” she wrote. Federal rules now require card issuers to provide an easy-to-understand summary of the important terms and conditions of the contract with their credit card user agreements. Feddis points out that the industry supports that requirement. “Assertions that contracts are deliberately complex are baseless and inaccurate,” she wrote. CreditCards.com compared current credit card agreements on file with the Consumer Financial Protection Bureau (CFPB) with those filed in 2011. That’s when the CFPB asked credit card companies to simplify their agreements. At that time, the agency also published a model card agreement that was just two pages. “While there have been improvements in credit card agreements, they’re still way too difficult for consumers to understand,” said Christina Tetreault, a staff attorney with Consumers Union, the advocacy arm of Consumer Reports. "People can get hurt by what they don’t know and it’s time for banks to step up and make their products understandable to consumers."